For energy-conscious consumers, fossil fuels just aren’t a viable option anymore. For home and business owners in Morgan who are looking alternative energy sources, Gardner Energy is happy to help them install a hydropower system in their buildings. While some may have heard of this technology, few know the benefits of this renewable energy source. As Utah’s leading alternative energy system provider, we want to empower our customers to make eco-friendly choices by sharing the benefits of these systems with them. Water power has proven to be a boon to communities that can take advantage of it. 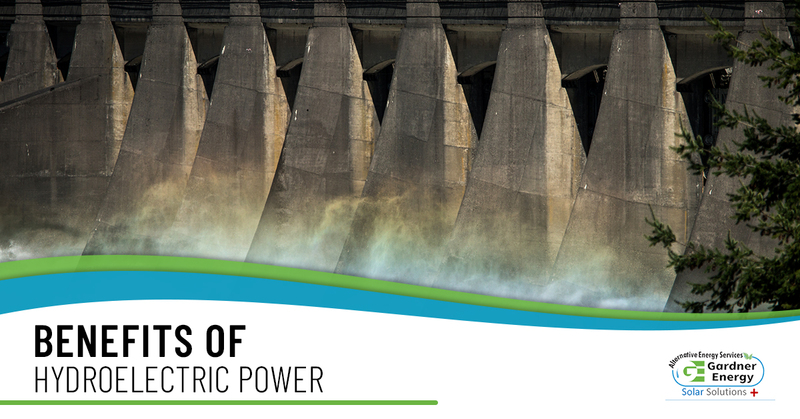 Below are the benefits of using a hydroelectric power system for your home or business. Unlike fossil fuel power systems, a hydropower system doesn’t actually consume or burn up the water in any way. The hydro system creates energy from the force of the water moving past various implements and generators. This means that as long as water is allowed to freely flow past the generator, that same generator can continue to convert that movement into energy. This is perhaps an obvious benefit. Because hydroelectric power relies on water, there is no need for harmful chemicals to make the energy source usable, and there are no harmful by-products as the energy is produced. In comparison to other fossil fuel energy sources like coal, gas, and oil, hydropower produces a minuscule amount of greenhouse gases, which are simply are a byproduct of constructing the hydro system itself. Hydroelectric power plants can utilize an accumulation reservoir allowing them to quickly react to changing needs in energy use. For instance, the stored energy can respond to the increased energy usage that occurs every evening when families get home from school and work. Hydropower systems can generate power for the larger electric grid almost immediately, so they serve as a backup system during periods of high energy use or of power failure and outages. Unlike solar and wind energy, which can experience a drop in energy production when the sun goes down or the wind stops, when installed near a constantly moving water source like a stream or river, hydropower offers more consistent power and is nearly constantly creating more energy to store and use at a later time. Hydroelectric power has been used for centuries by factories and manufacturing facilities to power their machines, but thanks to innovation in alternative energy source technologies, many homes can now be fitted with their own hydroelectric energy systems. This makes this form of renewable energy ideal for homes and businesses located along waterways. For more than 10 years, Gardner Energy has served the people of Morgan and communities across the state of Utah, providing them with renewable energy systems that end their dependence on harmful fossil fuels. If you’re looking to install an alternative energy system on your home or business, contact one of our specialists today. We carry all of our materials in-house, and only hire certified system installation experts to set up your system, so your new alternative energy system will be set up quickly and easily.